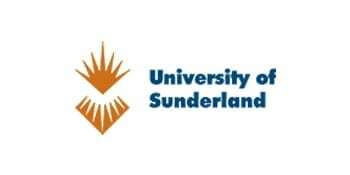 The University of Sunderland is an ambitious university with a vast global reach. We’re internationally known for the quality of our teaching and research, and all of our research-active staff also teaches, which means that you benefit from cutting-edge research at every stage of your degree. And it really is cutting-edge research: we’re proud that 10 areas of our research are considered ‘world-leading’; according to the most recent Research Excellence Framework, which assesses the quality of research in all of the UK’s universities. The University is also rated Silver in the latest national Teaching Excellence Framework, which recognises our achievements for employer engagement, professional practice, academic support and excellent teaching. Sunderland is well known as ‘the friendly university’, and that’s because we genuinely care about the well-being of all our students. Our job is to make sure you have the best possible experience at the university, and so if you need any support while you’re with us, we’ll do our very best to help you. The North East of England has one of the most beautiful and varied landscapes in the UK. It doesn’t take long to travel from bustling urban areas to ancient forests and national parks. Sunderland itself is right on the dramatic North East coastline, and there are miles of beautiful sandy beaches just a ten-minute walk from the University. The University of Sunderland and you’ll graduate with more than just an excellent academic qualification: you’ll also graduate with enviable job prospects and lifelong friends. Our courses are taught at the undergraduate or postgraduate level. A typical undergraduate degree usually takes three years to complete. However, if you have completed part of a bachelor degree elsewhere we offer advanced entry to a number of our courses. – we were awarded the Quality Mark by the Quality Assurance Agency (QAA), which is only given to higher education providers who have met or exceeded the UK expectations for quality and standards in higher education. We also perform very well in the National Student Survey (NSS) and are among the best in the country for how our students are assessed and supported with their assignments. According to the latest NSS, 87% of our students feel they receive high-quality teaching and 74% of students are satisfied with their assessment and feedback, which is above the national average. Whatever your subject area, you are sure to find fantastic facilities, world-class research and deep academic expertise at Sunderland. 94.2% of our UK undergraduates and 95.8% of our UK postgraduates are in employment or in further education within 6 months of graduating. Whether you’re seeking a graduate career, doing further study, or starting a business, we can help you realise your potential. Our Careers and Employability Service offer a range of activities, opportunities and services that will help you stand out from the crowd and ensure you leave university with a CV packed with skills and experience sought after by top graduate employers, as well as a strong academic qualification. University is a big investment. As a student at Sunderland, we understand the pressures of balancing your daily finances with your studies. Our Financial Advice Team are here to assist you in anything relating to your finances, whether this is a Student Loan query or whether you need help finding or applying for scholarships, grants or bursaries. You can also download the University of Sunderland App to access PANDA – Our dedicated financial support feature that will help you keep on track of your finances – find out more about the app and download it at www.sunderland.ac.uk/mobile-app. Our Student Wellbeing service is here to provide support for your physical, emotional, mental and spiritual wellbeing to support you on your journey through University. The Disability Support Team (DST) are able to give information, support and guidance to students with disabilities, mental health difficulties, Specific Learning Difficulties (such as dyslexia) and long-term medical conditions. Their area of expertise is learning support; if you feel that your condition or impairment is having an impact on your studies, you can contact them at any time. Anyone can experience thoughts and feelings that are distressing or affect their ability to concentrate on their work/studies: anxiety, depression, suicidal thoughts, bereavement, issues of sexuality, relationship difficulties, family conflict, homesickness, problems arising from studies. We are a team of Health Professionals who offer an accessible and supportive service for all students experiencing emotional and mental health difficulties which are impacting upon their studies and/or daily lives. Skills for Learning is a collection of downloadable guides and resources that you can use to support the development of academic skills. Academic skills include essay writing, reading, revising, note taking, presenting and time management. You can access resources on those topics and others in the Skills for learning resource collection.